Iraq under my skin: No extra lessons, please! During Saddam Hussein, teachers in Iraq were paid so little that they made sure their students needed extra lessons, to be able to get some extra income. That time is past. And yet not completely. 'My daughter has found a teacher to help her with maths', a friend of mine told me recently. I was surprised; I knew the girl passed the year, surely she should be having her vacations now? No, I was told, she will also need extra teachers for other subjects, as she is entering the last year of high school this autumn. And at the end of that school year she needs good points to be able to choose for a good university education. Some things have not changed with the new regime. And one of those is the outdated point system. Young people collect points at high school, to determine which university study they may enter. This is not so much a matter of choice or talent, but of points. To be able to study medicine, you need over 95 points. Also dentistry, pharmacy, engineering and law need good points. If you have less, say about 70, not many studies are open for you. Sharia law, is one, and I know that up till recently also geology did not need top points - which might have changed since the oil boom in Kurdistan. The system is not only bad because it does not take into consideration the talents and the interests of the youngster. At the same time, brilliant students do not make good doctors - that is only reachable for those with the right state of mind. Which explains partly the bad medical state of Iraq. It's not only the points that decide on your future profession - it's also the family. If your father is a doctor, he will want you to become one as well, as does the lawyer want his son the study law and many engineers also thinks engineering is the best profession for their kids. I thus know (Iraqi) families of generations of doctors and lawyers. As if the profession is given to the child with the mother milk. Children in the highest classes of high school have to do well in their exams. Only if they have enough points, they can become what their family wants them to, or choose a well paid future job. Because of that, children need extra lessons. But not only for that reason. Kids could teach themselves a lot, as we know in Europe, where self study is part of the schooling system. 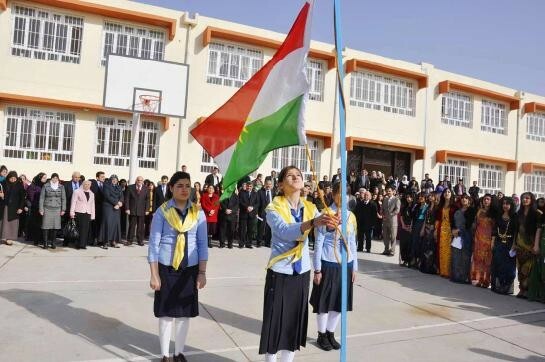 In Iraq children are not stimulated in school to find the knowledge themselves. It is fed to them, in sizeable bits, in a way so that they hardly need to think. They only have to remember it long enough for the next exam. Children are not stimulated to find and digest information, they hardly know how to tap into the enormous pool of information that is called internet and even less how to use it. So children cannot study on their own, they need teachers for the extra hours. And even though teachers are nowadays quite well paid, they like to get the extra income from the extra lessons. If Iraq would change the system of teaching, that would rob them of an income. So they stimulate the kids to get some extra lessons after school.Modernisation of the education is not completely in their best interests, it seems. Changing the system as such is not even enough. When children have to take turns in overcrowded schools, where often three shifts of classes daily are organised, how can you expect them to get enough knowledge in the short time they have at school? Building new schools, extra schools, is another issue.Who pays for them, if the government does not seem to want to do it? I do not want to take income away from teachers. Yet I think children should learn enough at school, and get taught how to find additional information by themselves. Because I do want Iraq to move forward. And to do that, we need young people who are well educated, who hunger for more knowledge and know where to find it. And we need young professionals that choose their profession with their hearts, not with their wallets.